Today’s guest blogger is Chuck Austin. He has been a pastor for many years and is currently serving as a transitional pastor at a church in San Jose, California. We were talking on the telephone recently and he told me this unusual story that he witnessed. I thought you’d enjoy reading it! 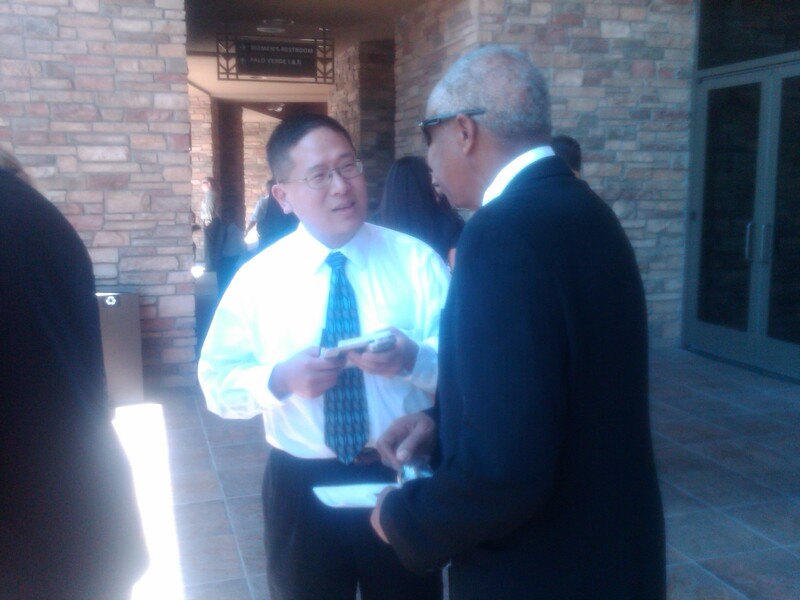 I arrived at one church where I served immediately following the dismissal of a pastor. His dismissal had not been handled correctly and resulted in a great many people becoming unhappy, angry, and quite sad. Many of the people had become disillusioned with their leadership and some called for all of them to step down. As I listened and heard both sides of the event, I became convinced that the leadership of the church needed to do something proactive. I even spoke with one of the men to specifically ask him to consider giving an apology to the church. I left him alone to pray and to let me know when he reached a decision. I knew that these men needed to go and visit the pastor who had been dismissed (which they all did over a period of time). One Sunday, as we were getting ready to celebrate communion, the one I had spoken with came to me and told me that he needed to say something to the congregation – and he told me what it was. He was quite nervous because he didn’t have any idea of the reaction he would receive. Needless to say, I was excited about preaching God’s Word that Sunday, but I was also excited about this man taking this courageous step. He spoke in a quiet voice that Sunday and I already knew that a lot of his biggest critics were sitting in the congregation on that particular day. Following his statements to the congregation, we celebrated communion followed by a closing song and prayer. Because the man who made this confession was involved in serving communion, he remained at the front of the auditorium following the service. Immediately, a line of people lined up to hug this man. Almost every one of them had taken the time to tell me what they thought of him since my arrival. Now I watched as they waited patiently to talk to him. There was no mistaking what was on their hearts: forgiveness. You could see it in their faces, in their embraces, and in their words. The mistake had been made and acknowledged and the congregation was there to show its support and love for the integrity the man showed. Standing on the Word of God and doing what it says should never cause fear in any of us because when we attempt what the Lord has told us to do, He’s there to empower us. On that particular Sunday, it made me proud to be a pastor, but even more proud to see someone take God’s Word and do the biblical mandate … and demonstrate that it’s never too late to ask for forgiveness. And it’s never too late for a congregation to respond by forgiving as they themselves have been forgiven by God! Pretend you’re the pastor of a new church plant. You have the funds to hire one part-time staff member. But right now, the church office is in your home. I’d hire her second. But you don’t yet have any youth, and besides, I’d hire the youth person fifth. How about a children’s director? I’d hire him or her (probably her) third. Why? Because people in our day expect good music on a Sunday. If the music makes people cringe – even if the message is a home run – many people won’t come back, and they’ll encourage their friends not to attend. If the Sunday service is all you’ve got when you start, make it as good as possible. But part-time worship directors are not easy to find. As a pastor, you want a strong believer in that role, someone who professes what they perform. That rules out the leader of the neighborhood garage band. You also want someone who is musically competent, who plays and sings skillfully. That rules out many church volunteers … and most of them will run when there’s a conflict. You want someone who can recruit musicians and vocalists, or else it’s going to be a one-man/woman show each week. Because the more gifted the leader, the higher quality people he/she can attract. You want someone who gets along with people, because musicians and vocalists tend to be perfectionists. So you can’t hire a Simon Cowell clone for the job. which eliminates Dino and George Beverly Shea (much as I appreciate GBS; Dino is another matter). And you especially want someone who gets along with you as pastor. Because if the two of you constantly disagree, guess who’s leaving? But because you’ve hired a part-timer … they may already have a full-time job, and there’s always the danger their job will intrude on the music ministry or they’ll have to move away. So let’s say that you as pastor have hired this person, and he begins to recruit others onto the team. What about the spiritual lives of prospective musicians and vocalists? Can any be unbelievers? What about someone guilty of immorality? What if a gifted guitar player isn’t a team player? What if someone on the team knows about another person’s sordid past? Your new worship director may be competent musically, but how strong are their leadership skills? Because if they can’t handle some of the above situations, they’ll revert to you as pastor … and the sparks will start to fly. The key to everything is the relationship between the pastor and the worship director. They must get along both personally and professionally. They must agree on the kinds of people who can sing and play on the team. They must agree on the predominant style of music for weekend services. They must clarify these decisions by putting them in writing. They must learn to trust and support each other in public, even if they’re negotiating in private. That’s how I feel about the job of a worship director. No wonder some people call music the War Department of the Church. Everybody wants to look good and sound good, but they may not want to be good and do good. First, pray for your worship/music director(s) by name on a regular basis. Finally, insist that those who criticize the worship director either (a) go to him directly, (b) stop griping, or (c) go somewhere else. 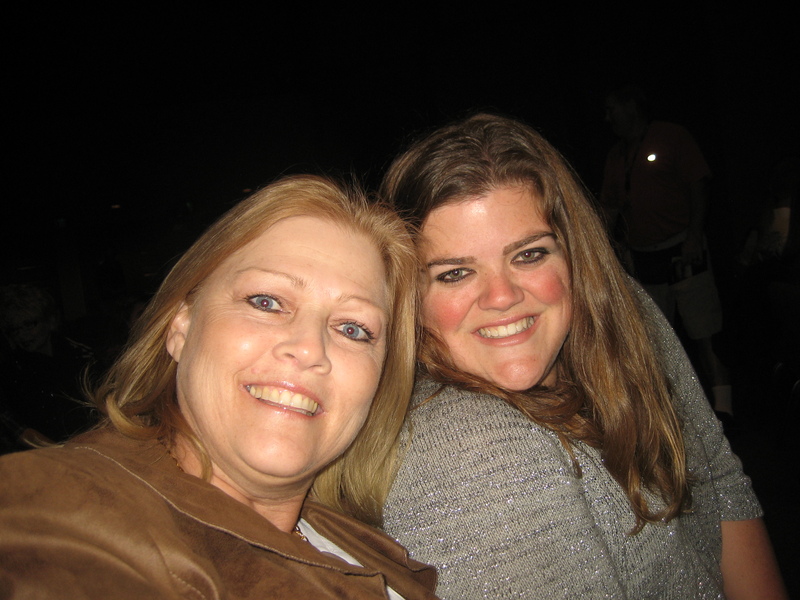 Being responsible for leading worship is a challenging task and not for the faint of heart. So let’s cherish those who do a great job … and keep working through the inevitable conflicts. The church my wife and I attend opened last Sunday’s service with a Tom Petty song. No, we didn’t sing it as a worship song. The band performed it. No, it wasn’t “Free Fallin’,” even though that song mentions Jesus. With all the great worship songs out there, why would a church start a service with a song by a secular artist? It all has to do with having an outreach orientation. The church gathers for worship weekly. Then its people scatter back to their homes, neighborhoods, and workplaces to live out and share the gospel with unbelievers. How well does that philosophy work? At least in my experience, not very well. The latest statistics are that only 2% of all Christians share their faith. 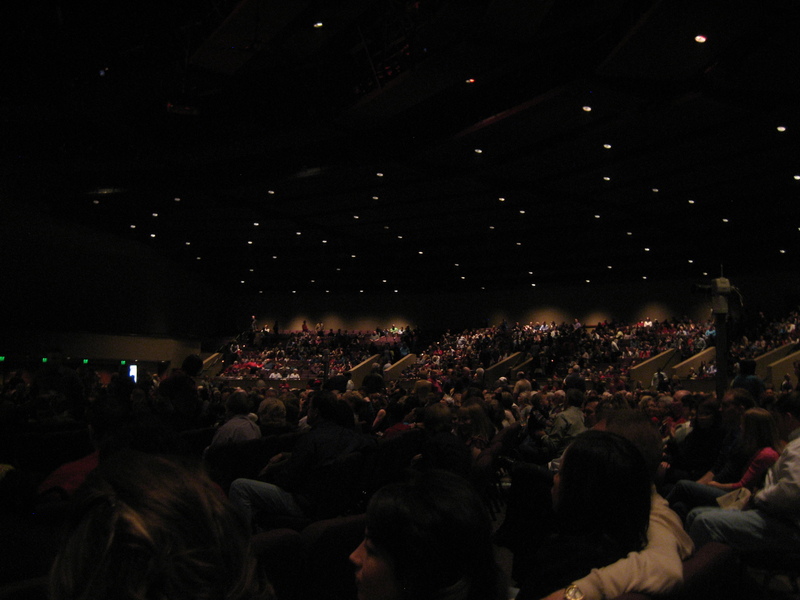 Most churches grow because believers leave smaller/unhealthy churches for a megachurch. But how is that fulfilling Christ’s Great Commission? I believe that being an outreach-oriented church isn’t about programming but about a mindset. That’s why I was blown away by the State of the Church report that our pastor, Don Wilson, shared with our church last Sunday. 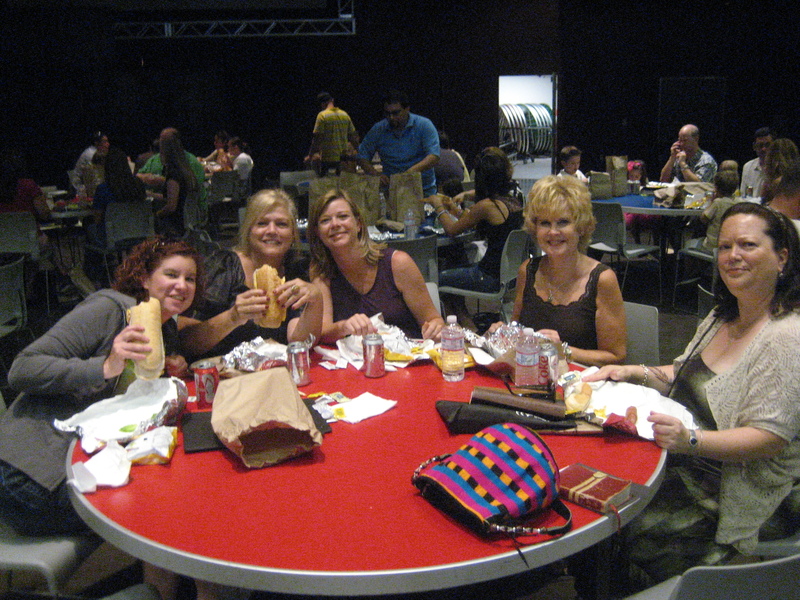 Let me share 12 things that Christ’s Church of the Valley (CCV) does well that demonstrates its outreach-orientation. Please forgive me if it sounds like I’m a pitchman for the church. The church has its flaws, but it does so many things right that it constantly amazes me. 1. Mission: WIN people to Christ, TRAIN believers to become disciples, SEND disciples to impact the world. The church’s mission is WIN, TRAIN, SEND. In my experience, if outreach isn’t first, it won’t happen. 2. Vision: Pastor Don doesn’t just want to win the community around the church for Christ. He wants to win all of Phoenix for Christ because 86% of the people in Arizona don’t attend church. The church is located on Happy Valley Road in northwest Phoenix, but people drive long distances to attend the church, coming from as far away as Surprise and Scottsdale. 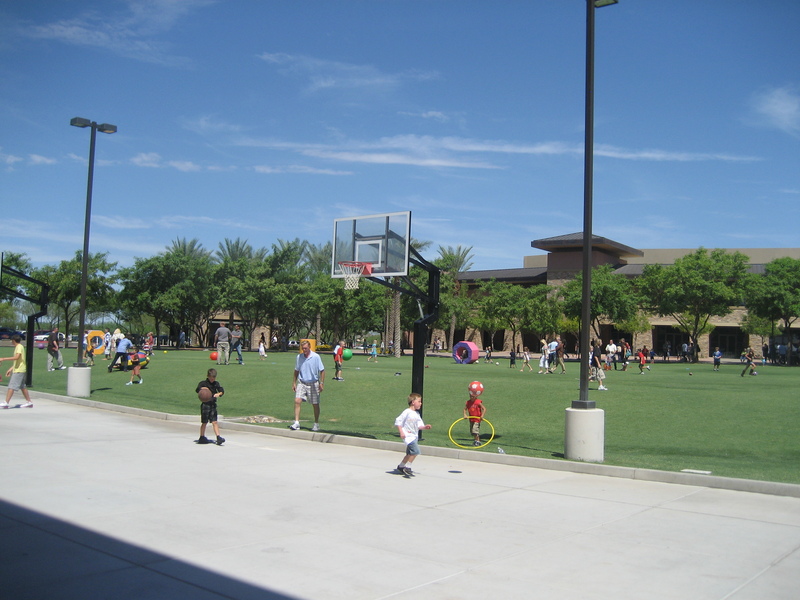 A few years ago, CCV planted a church in Surprise. 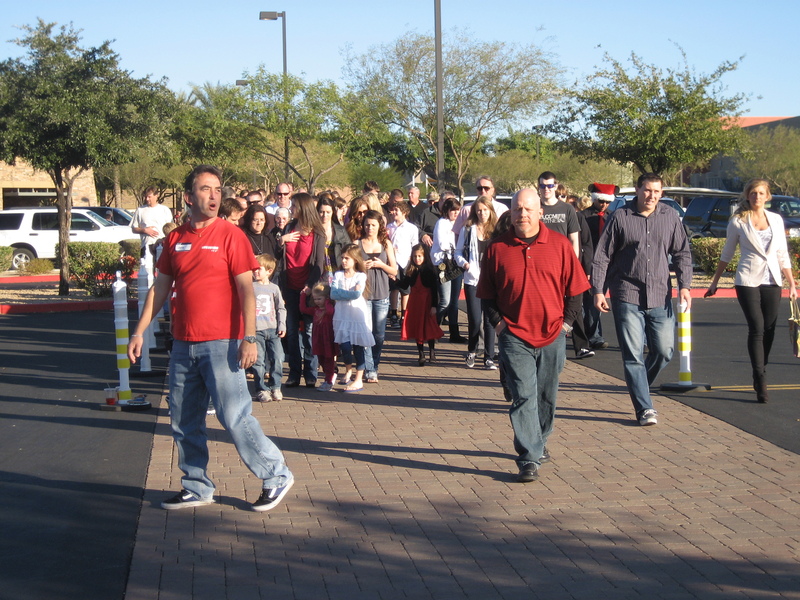 In 2011, that church became CCV Surprise. While the church in Surprise has a live worship time, Pastor Don’s messages are shown there on video. 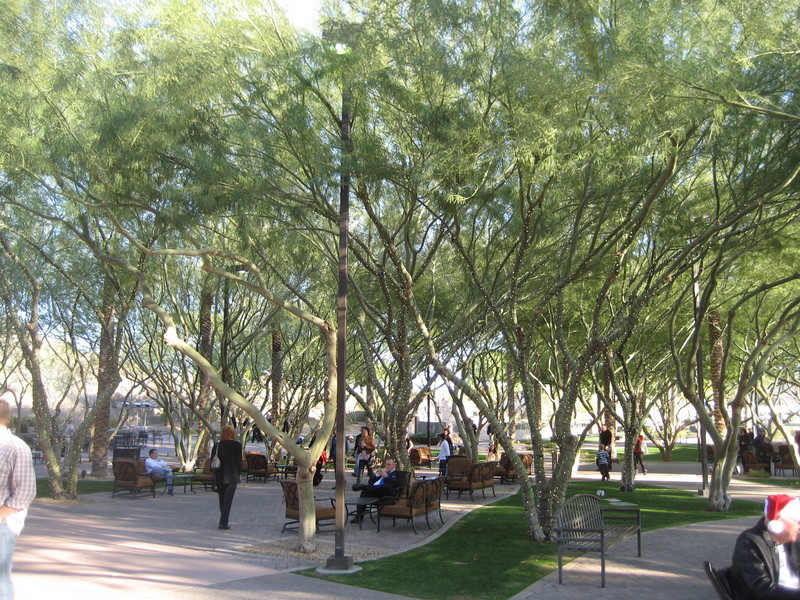 In 2012, CCV will expand into Scottsdale. 3. Target: the church targets men. If a church targets children, the whole family will come to church 7% of the time. If a church targets mothers, 18% of the time. If a church targets fathers, 93% of the time. This may explain why there are TV monitors in the refreshment areas featuring sporting events every Sunday. Last year, I watched an NFL playoff game at church while enjoying a hamburger lunch. There was no reason to hurry home. The church also offers competitive sports leagues on its campus, including an upcoming tackle football league. 4. Strategy: the church encourages people to invite their friends, family members, and co-workers. 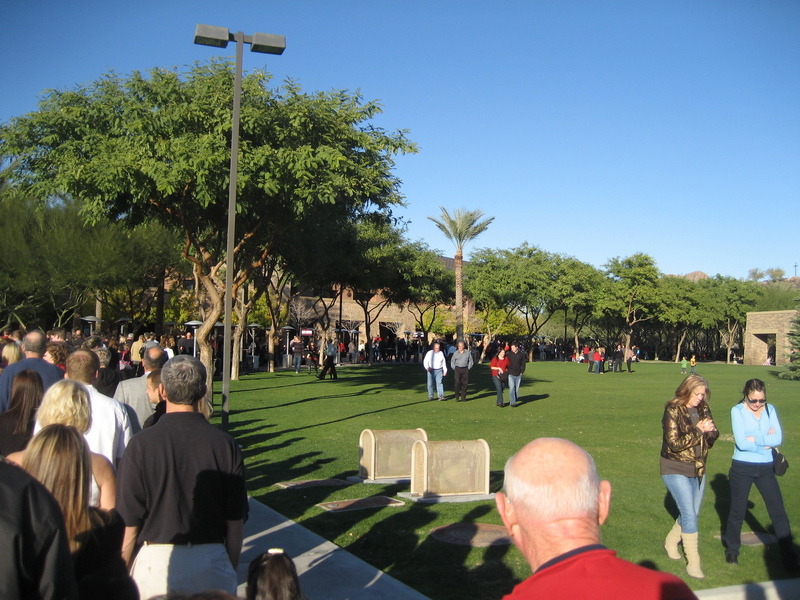 9% of the people who attend CCV came because they drove by. 9% found the church online. 68% attend because they were invited by someone who already attends the church. For churchgoers to invite others, their church has to offer people answers and experiences they cannot find anywhere else. If I’m excited about my church, I will invite others. 5. Statistics: I do not believe any church can be measured merely by statistics, but they do tell a story. Pastor Don said that the church aims to grow in 3 areas by 10% each year. 6. Example: Pastor Don made a point of telling the church that he attends a neighborhood group, he invited neighbors to church, and he and his wife pledged to increase their giving for 2012. Whenever a pastor challenges believers to do something, those people are wondering, “Are you doing what you’re asking us to do?” Most people won’t know about a pastor’s involvement unless he shares it himself. 7. Training: CCV has four ways of training people: Starting Point (a once-a-month class orientation class); Foundations (where the church’s beliefs are presented); Neighborhood Groups (which are designed for both spiritual growth and outreach); and T-Groups (the “T” standing for Transformation, groups of 3 people who help each other grow spiritually). 8. Missions: the church goes on short-term mission trips to places like Kenya, China, and Ireland, where they’re planting a church this year. Pastor Don also travels to Africa several times a year to train pastors. The church’s missions’ budget is $2.3 million annually. Kenya? Did Someone Mention Kenya? 9. Compassion: the church assisted 1,400 families financially in 2011; provides free funerals (including the one for Harmon Killebrew); and has a team of people who assist widows. My wife fell in the parking lot one Sunday morning, and within a couple minutes, a woman in a golf cart picked us up and drove us to the lobby entrance. We were blown away by the culture of service. 10. Elders: the church has 9 elders, including a friend of ours we highly respect. 3 elders are selected every year. Their names and brief biographies are placed in the program at the end of each year. If you think there’s a reason they shouldn’t be an elder, you’re to write down that reason and submit it. The elders are responsible for the church’s doctrinal purity and financial integrity, as well as praying for the sick and for the pastor before he preaches. 11. Impact: Toward the end of last week’s message, Pastor Don announced that CCV is now the 10th largest church in America, and one of the fastest growing. And the church will celebrate its 30th anniversary this April. By the way, Pastor Don doesn’t compromise the gospel or any biblical commandments. He hits the hard issues head-on. 12. Conflict: The more outreach-oriented a church truly is, the less conflict they have. The more inreach-oriented a church is, the more conflict they have. It’s possible that I may be leaving Phoenix soon. If so, the Lord may have wanted me here in part to learn from a church like CCV. I am not suggesting that your church should become like CCV. Far from it! But we can all learn something from other churches, especially those that are effectively winning people to Christ. May the Lord richly bless you and your church in 2012!